To say that I am happy with my Apple products would be an understatement. It all started with my 3rd generation iPod Classic, and as I bought my MacBook, my iPad and my iPhone, I became more and more convinced that Apple in general delivers quality products. BUT I am also convinced that Apple is not good at one thing: earbuds. Sure, they get the job done. And it is nice to buy an iPhone or an iPod and not have to worry about buying another pair of earbuds. But as far as comfort goes, Apple in-ear headphones did not make in onto my favorites list. Solution? I have several! When using my iPod, I'm pretty attached to AudiOHM earbuds. They're probably the most comfortable earbuds I've ever worn, and the noise-isolating feature is great for helping me focus at work or avoid being social. One feature that I did appreciate from my Apple earbuds was the remote and microphone built into the wire. Although I did use them for driving, the microphone came in handy when my hands and shoulder weren't free to hold onto the phone while in the middle of a conversation. They were great when I was cooking, folding laundry, or when shopping at the grocery store (although I did get weird looks from strangers who thought I was talking to myself). But as with my iPod's earbuds, they became increasingly uncomfortable. Luckily around the time that I was ready to retire the uncomfortable earbuds, GOgroove came out with the DynaMIX earbuds, which are not only incredible comfy, but they also have an in-line microphone AND control for switching tracks, answering and ending calls, and playing or pausing music. Although it's not exactly a fashion-forward accessory for us ladies, my favorite headphones to use are the GOgroove SoundCLUTCH Over-Ear Headphones. When it comes to quality and comfort, these headphones are the by far best ones I've ever tried. With cushioned, noise isolating earpads and an adjustable headband, these headphones are so nice to wear that I would forget I was wearing them if it wasn't for the crystal clear audio coming out of them. Best part of all? 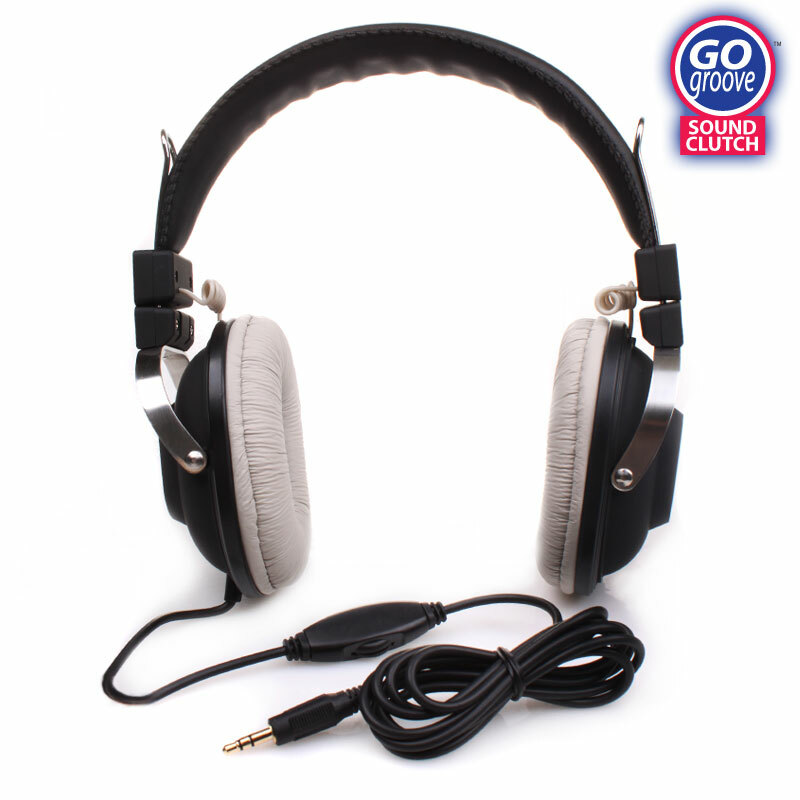 All of the earbuds and headphones mentioned above are reasonably priced, saving you money without compromising quality!